Trekking is an inciting activity for every adventure lover. However, escaping to the land of Himalayas is not always a favorable option for all and thankfully there are some weekend getaways for trekking near Chennai. If you are among those avid travelers seeking an exciting trekking experience in the hills and mountains, this is it! If you don’t stay in the city but want to explore some of the amazing trekking places near Chennai, book cheap flights to Chennai at Indian Eagle and see your wish turn into reality. To top the list is the Tada falls or Ubbalamandagu Falls situated on the border of the states, Andhra Pradesh and Tamil Nadu. It is a trail of around 10 kilometers from the base and It will take you a day to reach the falls and return. 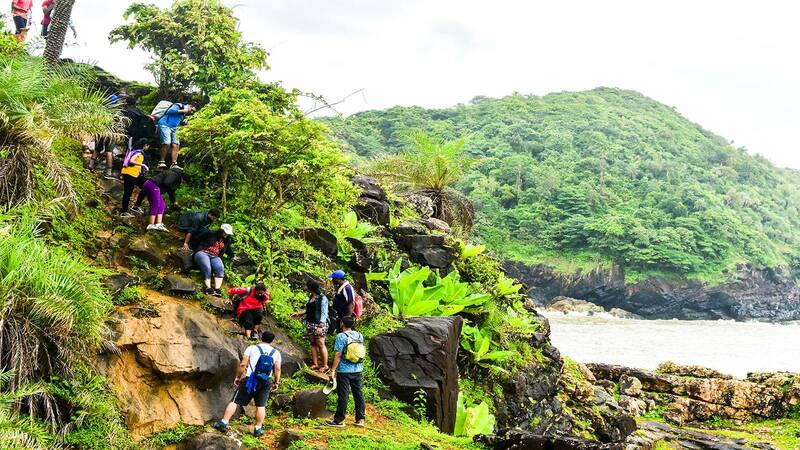 No doubt it is a refreshing trek for the breathtaking natural beauty of the waterfalls that makes it one of the perfect trekking spots near Chennai. As you reach your destination up on the hills, the clear waters of Tada falls make the overall tiring journey through the mountains truly worthy. Initially, you will pass the muddy and dry trail for almost 2 kilometers which later turns into a rough path that would demand some skills to pass through. No, it’s not to scare you but to make you aware of the conditions throughout the trail. The best part about the trekking experience to Tada Falls is the scenic beauty of the green landscape and streams all the way. It is indeed refreshing for your body, mind and soul. Located in Villupuram, Tamil Nadu, Gingee Fort is also named as ‘Troy of the East’ by the British. The magnificent fort consists of three separate citadels at the hilltop and a high boundary of thick cliffs and walls. On seeing the massive structure, the great Maratha King, Shivaji declared it as the “most indestructible fortress of India”. Trekking to the fort will make you realize why the monument has been given such impressive names and the fact of its being located too strategically to make it tougher for the enemies to break in force their way into the premises..
Grow your historical insight by choosing Gingee Fort as your next adventurous trekking place near Chennai. You will surely return with some beautiful pictures captured and a memory to last forever. If you and your group want to go for some adventure and trekking places near Chennai as a weekend getway, Nagalapuram is a great idea. Situated in Andhra Pradesh, Nagalapuram Hills lie on the border of Andhra Pradesh and Tamil Nadu. For a weekend it’s better you camp overnight in the hills and return back to the trek base next morning after having the breathtaking view of sunrise. It’s just spectacular! You can even choose otherwise and camp near the trek base by the dam. The trail is full of small streams and mountains. Just be careful with the loose gravel on the way. Yes, it is a tiring trek but you bet the magic pool atop will please your soul, healing all the tiredness. One of the best trekking places near Chennai is Talakona Waterfalls, situated in the dense green forests of Andhra Pradesh. Treasure the scene and smell of the wonderful sandalwood trees as you trail towards the peak – a moment worth remembering. The forest is rich in medicinal properties which even turns the waters of Talakona falls medicinal. If you are curious for some real adventure, take the rope walk, 40 feet from ground level. The rope walk will also pass through small canopies and streams. Also visit the Sri Venkateswara National Park to explore its rich flora and fauna. At a height of 3600 feet high altitude,Yelagiri is approaching to find a place among the amazing trekking places in Chennai. You will get to see serene valleys, vistas and hills in total seclusion which favors it in being a suitable choice of trekkers. You can go on a hike towards Swami Malai hills or Peerumedu falls in Yelagiri. It is a cool start for beginners in trekking to have the needed adrenaline rush along with ensuring safety. To have that much needed break from the otherwise monotony of life, escape to these amazing trekking places near Chennai and rejuvenate your mind, body and soul.